FakeMillion Fall is Approaching: Time to Bring the New Season in with Novelty Money Gag Gifts! As Halloween approaches, we have to start thinking of ways to best celebrate this year’s unique and festive, costume-filled day. For many, Halloween is the favorite holiday of the year, and not without good reason too! 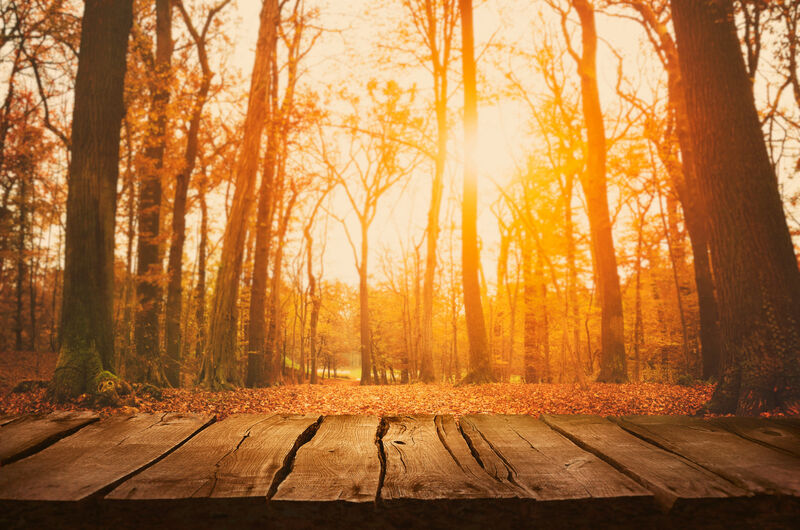 Halloween certainly has some special significance, and it is just sort of a holiday that everyone can enjoy, no matter who they are or what they are all about. This holiday does not have to have religious significance, and it can be enjoyed by both young and old alike. When you are trying to decide how to decorate for this year’s spooky season, we at Fake Million have some great ideas for you! When you are considering how to decorate, why not pick up some scary and frightening fake money or novelty money? And where can you buy fake money? Right here at Fake Million. Fake money is totally legal, and totally fun. Fake paper bills can be used as decorations for your Halloween bash, they can be used as party favors, and they can be used even to give out to trick or treaters! What a great, cool gift! Instead of candy, why not give kids something that will not be unhealthy for them and will be super cool instead? Better to have kids walking around feeling like high rollers with some cool fake bills in their candy bag than just a bunch of candy. These are just a few of our favorite Halloween bills here at Fake Million. We have many others! At Fake Million, our goal is to offer as many bills to our customers as possible. Fake Million has an inventory of literally hundreds of different types of fake money and novelty money. These types of bills and paper money are fun and cool and well made. The pictures and designs on them are clear and well printed, and the overall appearance of them is high in quality. Best of all, each fake bill is only a buck! At Fake Million, you can get all of your shopping done in one place. Want to get some fake bills that will work for Halloween but some more bills that will work for Christmas gifts? Fake Million is a great place to get all of these! Novelty money also makes great office gifts too, as you can get a lot of them and give one to each co-worker without having to spend a lot of money on it. At Fake Million, there truly is something for everyone! Shop Fake Million and learn why novelty money is the new and interesting way to celebrate Halloween and any other holiday! Our Chihuahua One Million Doggie Bones Bill is printed on the front and back. It is the same size as real US currency. The Chihuahua One Million Doggie Bones Bill is beautifully designed. 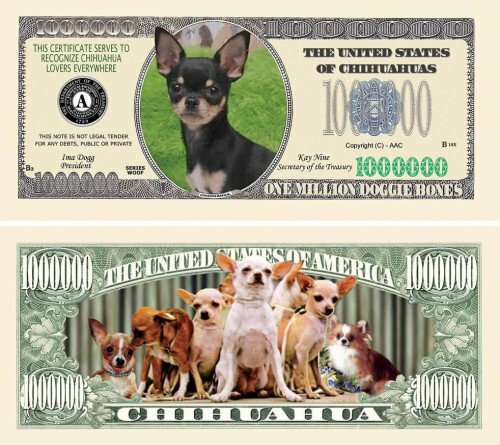 Use these Chihuahua One Million Doggie Bones Bills in schools, at parties, sell them at retail stores, sell them in online auctions or use them in promotions. Our Chihuahua One Million Doggie Bones Bill make for a great favor, gift or collection item. All of our novelty money, funny money and fake money is extremely popular and can be used in hundreds of unique and fun ways. ALL OF OUR NOVELTY BILLS ARE 100% GUARANTEED TO BE THE BEST QUALITY.